Headquartered in Hong Kong and with bases worldwide, including the US, UK, China and Australia, NetDimensions was founded by Jay Shaw and Ray Ruff in 1999. It is a global provider of enterprise performance software and talent management solutions. 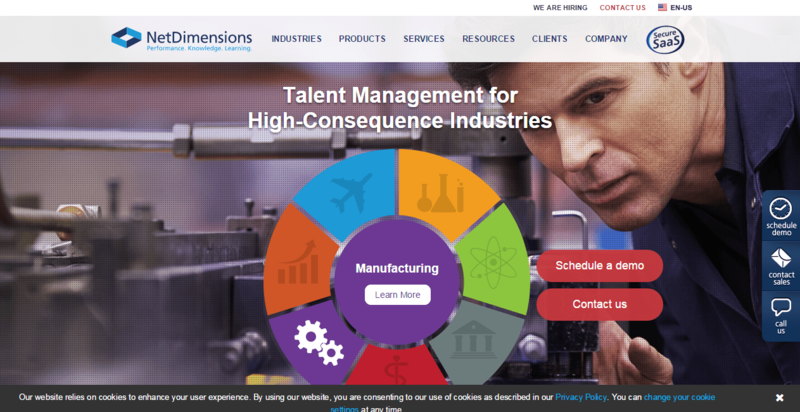 The company’s talent and learning management systems cater for high consequence industries, with particular focus on Life Sciences, Government, Manufacturing, Transport, Energy, Healthcare and Financial Services. NetDimensions offers customers a way of sharing knowledge, enhancing performance and collaboration, and managing better their employees, clients, suppliers and partners. It has over 3 million users and 380+ clients in 40+countries. The company has offices in Atlanta, Connecticut, Neu-Isenburg, London, Sydney, Shanghai and Pasig City. NetDimensions has a certificate of the ISO 9001:2008 standard (previously earned the ISO 27001:2005 certification). It has now 20+ global partners and resellers including Accenture, CognosOnLine, eLearning Systems, e-Learnmedia, Indra Sistemas, PA Consulting, Phillips Consulting, the LR Management Group Training Partners, UnYLeYa and XpertLearning. Analytics – based on learning and aptitudes, it is an app that allows reporting and analytical modeling and offers baseline reports and dashboards. Exams – test engine for assessing competency and skills tests, regulatory & knowledge assessments, certifications, and any recruitment-related applications. Performance – Management system that provides performance assessments, competency modeling, career development and reports. Software Development Kit (SDK) allows the exchange of data between Talent Suite and external apps or devices, and securely integrates learning management functionality into them. It also offers hosting, implementation, integration, content and application development, training and support services. The suite solution is integrated for mobile learning and social collaboration. Mobile Enterprise Knowledge Platform (mEKP) is an end-user version of the LMS which runs from a USB flash drive (or any device that runs Java). That’s why it doesn’t require installation or Internet connection. The learner can access course catalogs, download materials and take exams. The system will synchronize automatically when Internet or intranet is available.